The Lesser Scaup is an American bird, since 1980 more and more seen in Europe. It looks a lot like big brother Greater Scaup but has the size of a Tufted Duck. 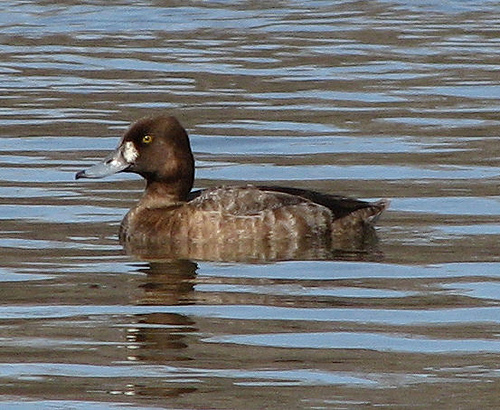 The Lesser Scaup is considerably smaller than the common Scaup, with an angular head.